While Google provides its own tracking and anti-theft service through Android Device Manager, some users prefer third-party tools. 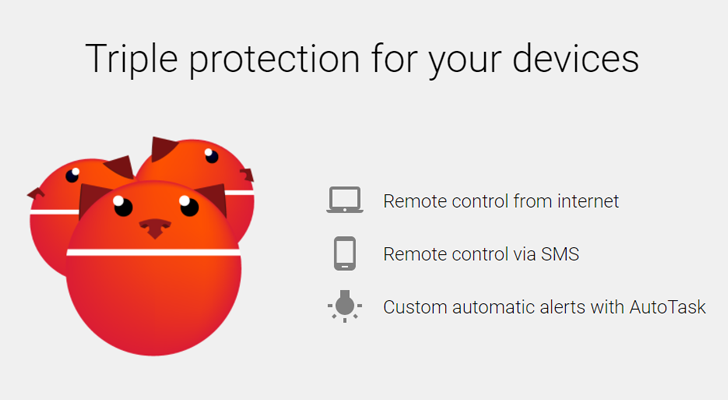 One of these is Cerberus, a powerful and customizable anti-theft app that has been around for years. While in operation, it can completely hide any evidence that the phone is being tracked (even faking a shut-down), thus giving owners more time to get their stolen devices back. 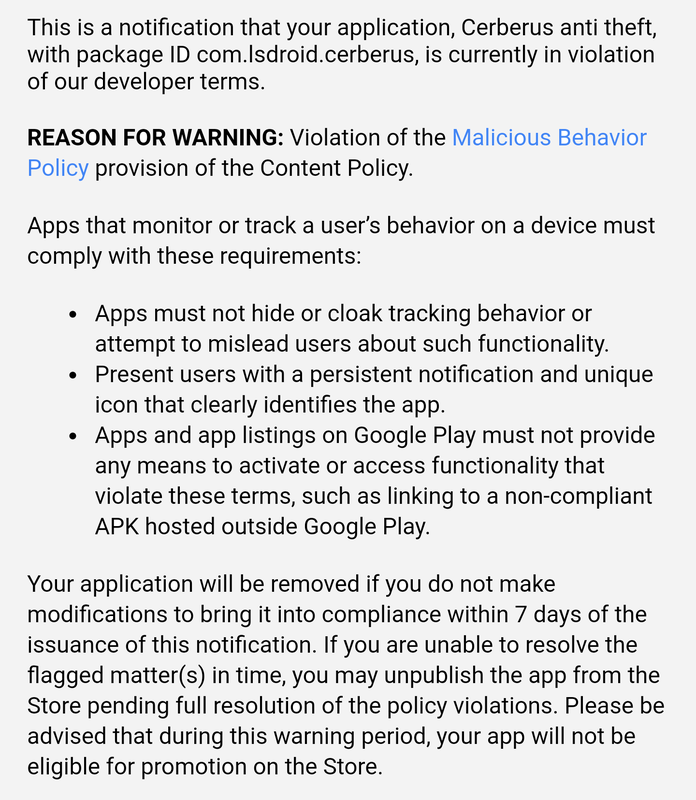 The developer shared an email from Google on the app's Google+ account, which states that Cerberus is in violation of the Play Store's Malicious Behavior Policy. 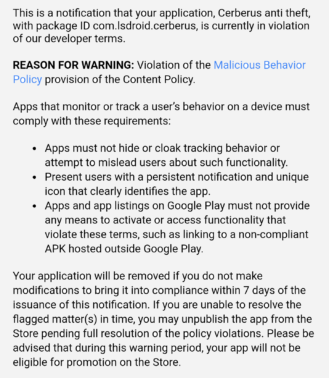 The message says that Cerberus' use of cloaking its functionality and linking to APKs outside of the Play Store is against Google's rules, and the app has seven days to address the issues. As you can probably guess, the stealthy behavior that Cerberus has is only designed to trick phone thieves, and not the users who install the application. Hopefully someone at Google will realize that, because crippling the app would be a massive annoyance to many users.